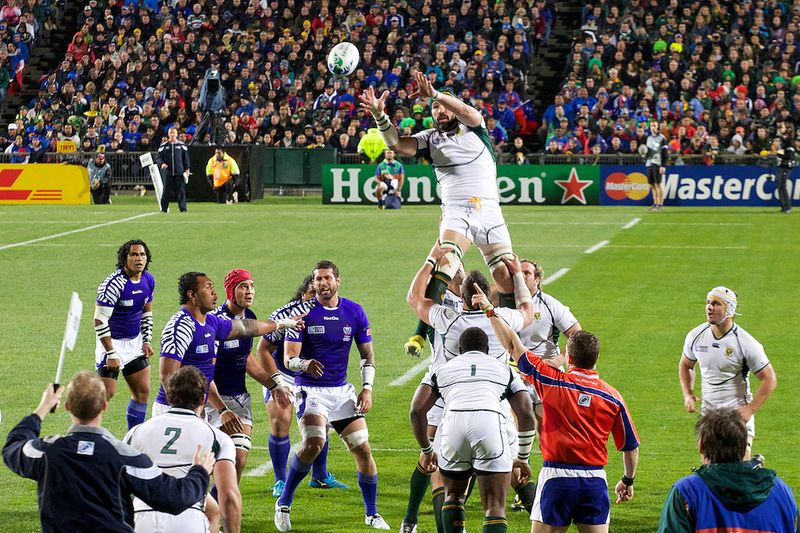 The 2011 Rugby World Cup (RWC 2011) concluded on 23 October. A total of 48 Games were played in the Tournament (40 Pool Games, 8 Knockout Games). The higher IRB ranked team won 43 out of the 48 games played. Four lower ranked team won: Canada (14) defeated Tonga (12); Ireland (8) defeated Australia (2); Argentina (9) defeated Scotland (7); Tonga (12) defeated France (4). There was one drawn game Japan (13) drew with Canada (14). The higher ranked team scored the first converted try, was leading at half time and won on 28 occasions in 48 games played. 261 tries were scored (116 in the first half, 145 in the second half). Detailed information about the Group Games can be found here and the Knockout Games here. 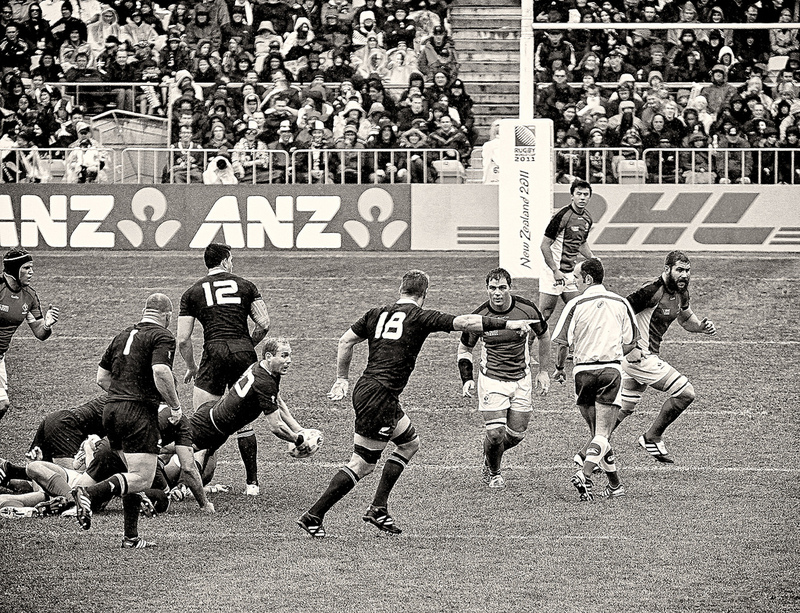 Data from the Tournament can be found at the official RWC2011 website. Categories: Performance Analysis, Sport | Tags: IRB Ranking, New Zealand, ohnonotanotherid, Rugby Union, RWC2011, Try Scoring, UCNISS, Winning Performances | Permalink. Categories: Performance Analysis, Sport | Tags: IRB Ranking, Knockout Stage, Mark Meredith, New Zealand, Rugby Union, RWC2011, Stewart Baird, Tries Scored, UCNISS, Winners | Permalink. 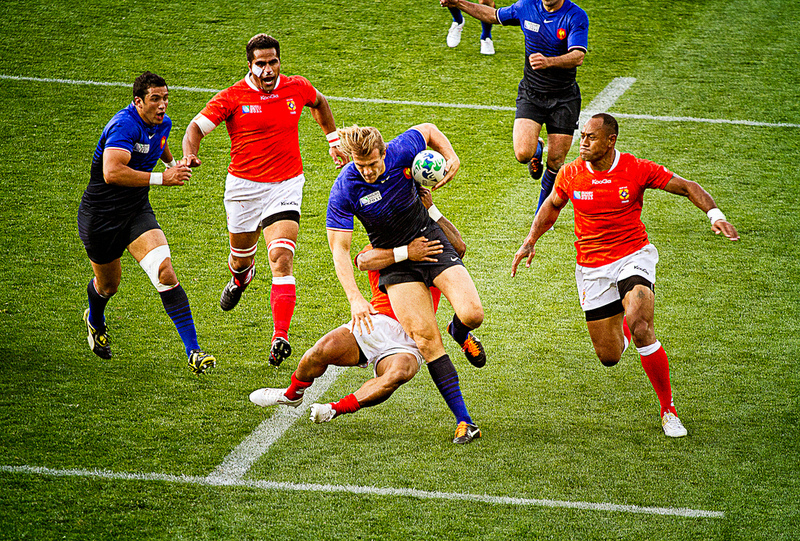 The 2011 Rugby World Cup (RWC 2011) Group Stage concluded on 2 October. A total of 40 Games were played in four pools. Eight teams progressed to the Knockout Stage in the Tournament. 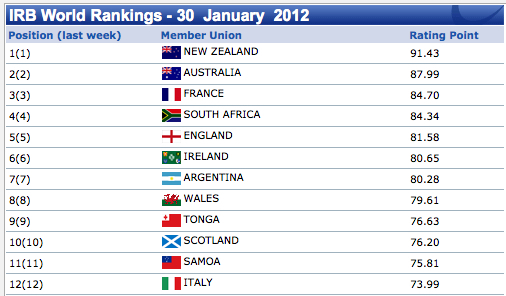 The IRB Rankings (5 September 2011) of these teams were: New Zealand (1); Australia (2); South Africa (3); France (4); England (5); Wales (6); Ireland (8); Argentina (9). Scotland (7) were the only highly ranked team not to progress. The higher IRB ranked team won 35 out of the 40 games played. The higher ranked team scored the first converted try, was leading at half time and won on 26 occasions in 40 games played. 241 tries were scored (108 first half, 133 second half). 1o referees officiated in four games each. Detailed information about the Group Games can be found here. 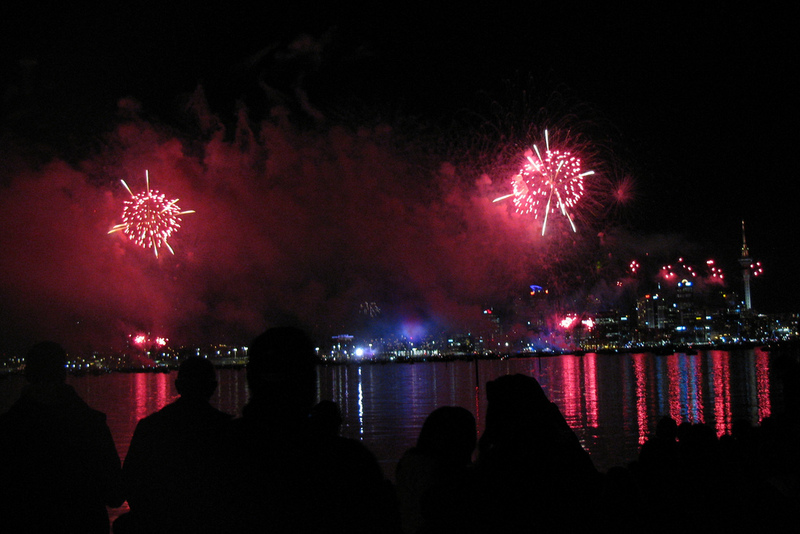 Both photographs were taken by Stewart Baird. Categories: Performance Analysis, Sport | Tags: IRB Ranking, New Zealand, Rugby Union, RWC 2011, Stewart Baird, Tries Scored, UCNISS, Winning Teams | Permalink. 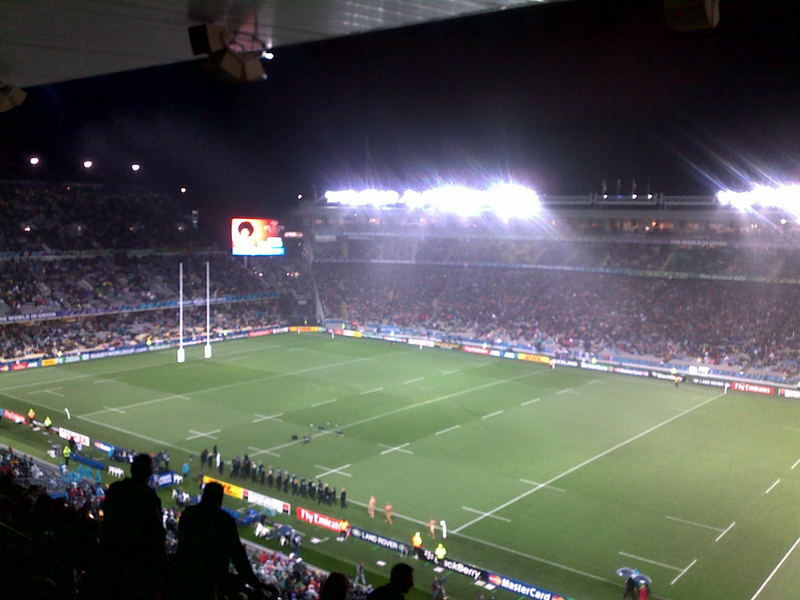 The 2011 Rugby World Cup (RWC 2011) kicked off in New Zealand on 9 September at Eden Park, Auckland. Information about the tournament can be found at the official website. 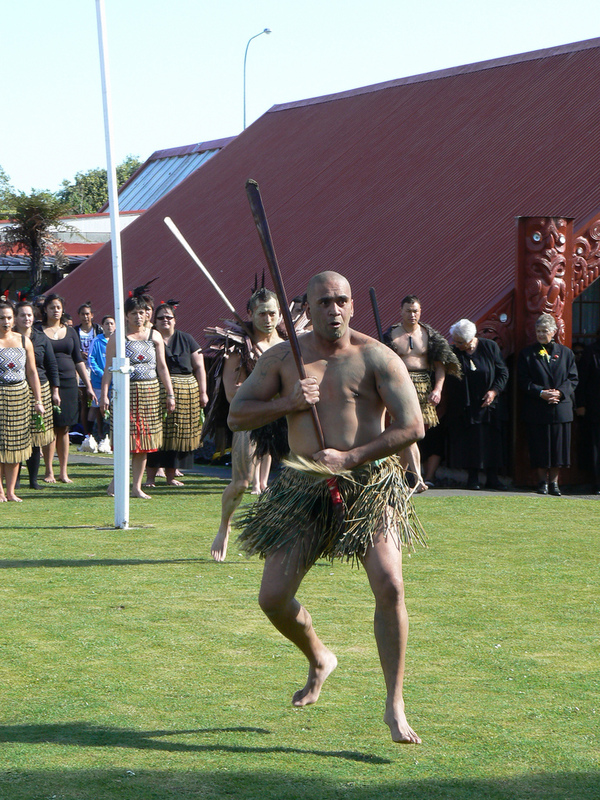 The opening game was New Zealand v Tonga. This blog post records winning performance in the group games. The higher IRB ranked team has won 35 out of the 40 games played. The exceptions are four lower ranked team wins: Canada (ranked 14th) defeated Tonga (ranked 12th); Ireland (ranked 8th) defeated Australia (ranked 2nd); Argentina (ranked 9th) defeated Scotland (ranked 7th); Tonga (ranked 12th) defeated France (ranked 4th). There was one drawn game Japan (ranked 13th) drew with Canada (ranked 14th). 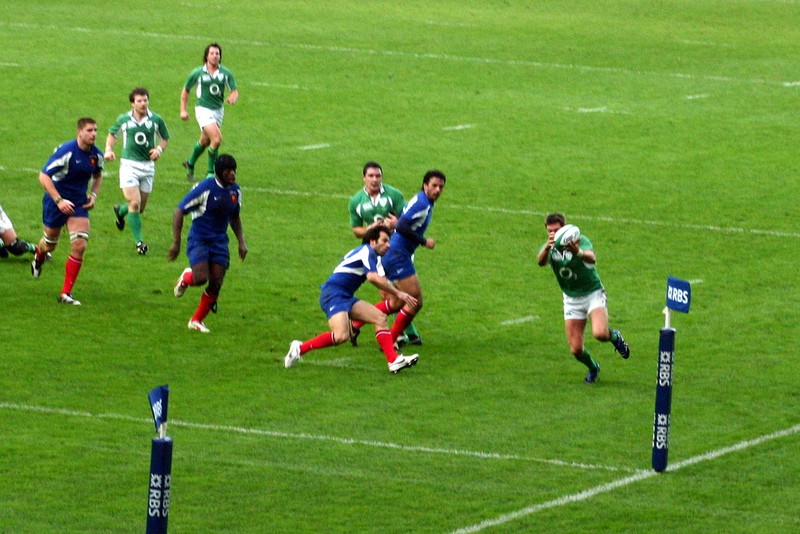 The higher ranked team scored the first converted try, was leading at half time and won on 26 occasions in 40 games played (New Zealand v Tonga, Scotland v Romania, France v Japan, Fiji v Namibia, Ireland v USA, South Africa v Wales, Samoa v Namibia, USA v Russia, New Zealand v Japan, Argentina v Romania, South Africa v Fiji, England v Georgia, France v Canada, Tonga v Japan, New Zealand v France, England v Romania, Italy v Russia, Australia v USA, Ireland v Russia, Italy v USA, South Africa v Namibia, Wales v Namibia, South Africa v Samoa, Australia v Russia, New Zealand v Canada, Wales v Fiji). Australia were drawing at half time (6-6) against a lower ranked team (Italy), no tries were scored in the first half. 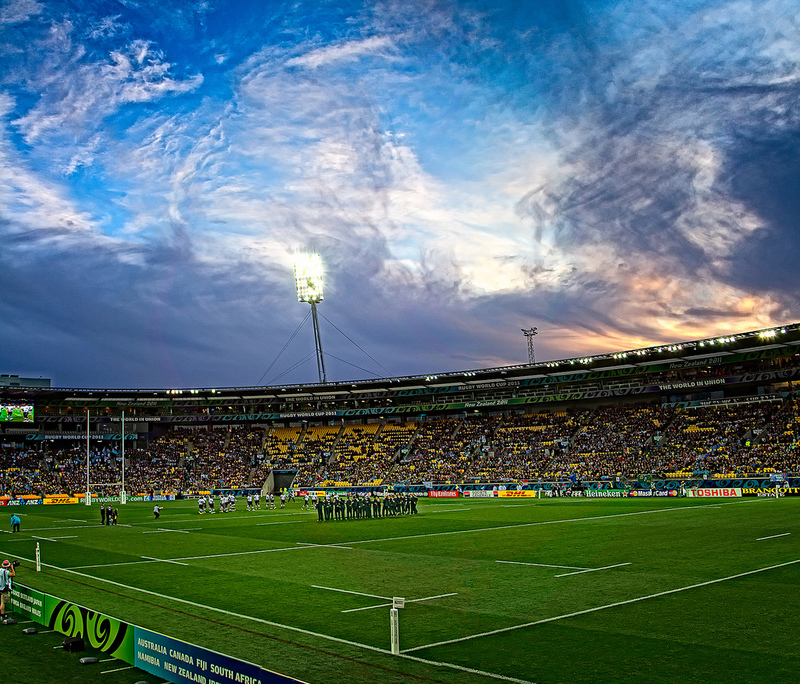 Australia scored the first converted try in the second half and won the game. Australia were drawing at half time against a lower ranked team (Ireland), no tries were scored in the game and Australia lost. Scotland were leading at half time (9-3) against a lower ranked team (Georgia), no tries were scored in the game and Scotland won. Scotland were leading at half time (6-3) against a lower ranked team (Argentina), no tries were scored in the first half, Argentina scored the only converted try of the game and defeated Scotland. England were losing at half time (3-6) to a lower ranked team (Argentina), no tries were scored in the first half. England scored the first (and only) converted try in the game in the second half and won. England were losing at half time (3-9) to a lower ranked team (Scotland), no tries were scored in the first half. England scored the first (and only) converted try in the game in the second half and won. Canada scored the first converted try, were leading a higher ranked team at half time and won the game (against Tonga). Wales did not score the first converted try of the game against a lower ranked team (Samoa) and were losing at half time. Wales scored the only try of the second half and won the game. Japan did not score the first converted try of the game against a lower ranked team (Canada) but were winning at half time and drew the game. Georgia were leading at half time (12-6) against a lower ranked team (Romania), no tries were scored in the first half, Georgia scored the only converted try of the game and won the game. Samoa were leading at half time (12-0) against a lower ranked team (Fiji), no tries scored in the first half, Fiji scored the first try of the second half and won the game. Tonga scored the first converted try, were leading at half time against a higher ranked team (France) and won. Argentina scored the first try against a lower ranked team (Georgia), were losing at half time and won. Ireland were leading at half time (9-6) against a lower ranked team (Italy), no tries scored in the first half, scored the first converted try of the game and won. Categories: Performance Analysis, Sport | Tags: Linda W1, New Zealand, Rugby Union, RWC 2011, Tries Scored, UCNISS, US Embassy New Zealand, Winning Margin | Permalink. I am interested in the ability to win in invasive team games. 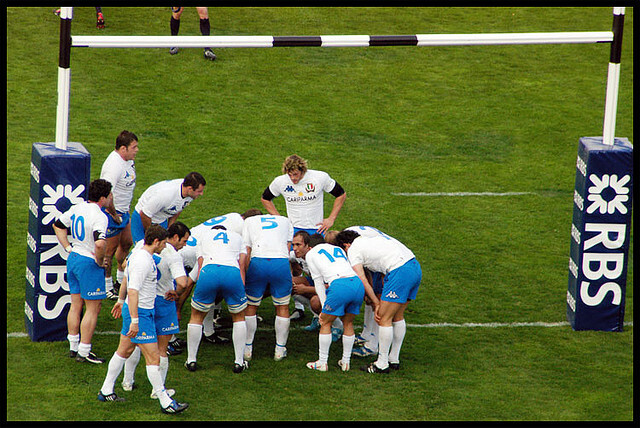 This season I have looked at winning behaviours in association football, Australian rules football, rugby league and rugby union. 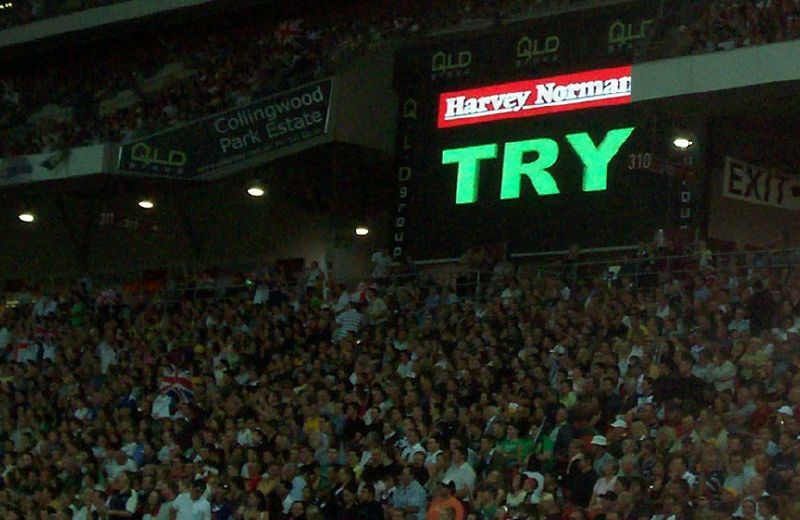 In this post I list those teams in this year’s 2011 NRL fixtures in Australia who were able to overcome a deficit within a game to win in the regular season (before the finals’ rounds). In the table below the first named team (in bold) overcame a deficit to win. There was one draw that was not resolved in extra time. This season the four largest deficits were overturned by the away team. Categories: Australia, Coaching, Sport | Tags: Association Football, Australian Rules Football, David Jackmanson, Deficit, Invasive Team Game, Losing, NRL 2011, Rugby League, Rugby Union, UCNISS, Winning | Permalink.